What is a BAC level? We all know that drinking and driving is a dangerous combination. However, most of us choose to ignore this fact. Many individuals decide to drive a vehicle even after a couple of drinks because they feel normal. They don’t think alcohol has had an influence on their driving skills and reaction time. Unfortunately, that’s what causes many car accidents. One driver thinks he is entirely concentrated on driving, but as it turns out, it is not true. Alcohol can affect our skills even if we don’t realize it at the moment. That’s why it is the best idea to avoid operating a vehicle after consuming alcoholic beverages. If you have had a couple of drinks, and a police officer pulls you over, you might face drunk driving arrest. It is a severe offense and can carry various consequences, including high fines, suspension of your driver’s license, and doing jail time. Police will consider you guilty of DUI if you are in a physical control of a motor vehicle, and under the influence of alcohol. Keep in mind that you need to avoid driving if you have consumed alcoholic beverages. Controlling a vehicle in this condition can be dangerous both for you and for the innocent bystanders. It is illegal in every state, and it doesn’t pertain only to cars. It also refers to boats, aircraft, and heavy machinery. Additionally, you can be charged even if you are not driving. If a police officer finds you in the driver’s seat while under the influence and holding the keys, even while parked, they can arrest you. If this happens, you should hire a DUI lawyer. Your level of intoxication will be determined by measuring blood alcohol content or BAC. It is the percentage of concentration of alcohol in your bloodstream. The legal limit can vary, depending on the state you are in, but in most states, it is .08%. If you have BAC of .02%, your ability to do two things at the same time will be weakened. For example, you won’t be able to steer and brake properly. When it comes to the legal limit of .08%, individuals become vulnerable and incapable of maneuvering a vehicle. If a police officer pulls you over, and your blood alcohol level is above .08%, they will charge you straight away. Trying to calculate this number yourself is no better than guessing. It is simply not possible, as it depends on several factors. For example, your alcohol tolerance built up over time has an effect on your BAC. The type of beverages you are consuming, as well as the kind of food you ate before drinking can also have an influence on your result. Gender and body fat percentage also have a vital role. There is no mathematical equation you can use to determine your blood alcohol level. If you don’t want a DUI charge on your criminal record, you should avoid driving under the influence. Even if you feel fine, you might still be over the legal limit. What Are The Penalties Associated With A DUI In DC? Drinking and driving laws in the District of Columbia (DC) state that a blood alcohol level (BAC) exceeding 0.08% is reason to be charged with a DUI (driving under the influence) offense. BAC for drivers under the age of 21 years is however 0.0% and for commercial drivers, 0.04%. DC provides an implied consent law which means that all drivers must submit to a chemical test (breathalyzer or blood test). If the driver does not submit to these tests, they will automatically receive up to a 1-year suspension of their license and/or a fine. Because breathalyzer tests may be unreliable, it is recommended to have a blood test to avoid these penalties. – First Offense – A fine between $300 and $1,000 and/or a maximum jail sentence of 90 days and/or a license suspension of up to 6 months. – Second Offense – A fine between $1,000 and $5,000 and/or a maximum jail sentence of 1 year and/or a license suspension of up to 1 year. – Third Offense – A fine between $2,000 and $10,000 and/or a maximum jail sentence of 1 year and/or a license suspension of up to 2 years. 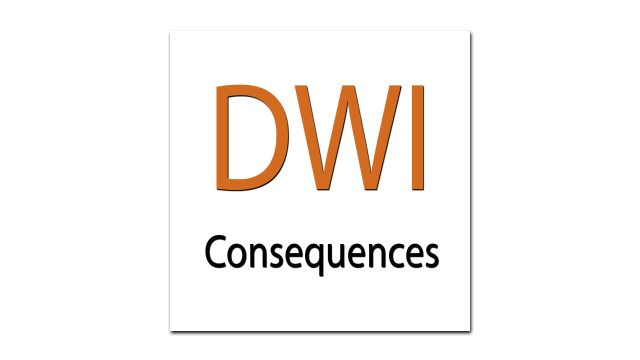 Further DUI convictions could result in penalties such as permanent license suspension, additional fines and a maximum jail sentence. Each case is decided upon it’s own individual circumstances as to how these penalties will be applied – whether the maximum sentence, fine or suspension will apply or if the court will show leniency. An offender, especially if it is a first-time offense, may plead to a lower charge such as reckless driving if they plead guilty. The penalties associated with these charges are often less severe and may help avoid jail time. It is recommended for all drivers charged with a DUI offense to seek legal representation to create a case to defend against the charge or simply to get advice on how to minimize the penalties and sentencing received by the court. For a list of top DUI attorneys in Washington DC, check out our home page. Being convicted of a DUI charge can have severe consequences in the future over and above the penalties mentioned above. A conviction will result in a criminal record which will affect a person’s ability to be employed, rent property, apply for credit or in any event where a criminal record may be checked. Although there are rare cases where the court will expunge a DUI conviction from a criminal record, it is a complex and difficult process that often requires an appeal. Expunging does not result in the removal of the conviction from a criminal record, but rather involves the sealing of the record from public view. The best way to avoid these penalties is not to drink and drive at all. Even one drink may be enough to exceed the legislated blood alcohol level in the District of Columbia.